Japan attracts many tourists every year. However not only culture, food, and historical temples are the attractiveness of Japan. Japan‘s technology ecosystem may provide full of business opportunities too. This tour will lower the hurdle of entering to mysterious ecosystem in Japan. In 3 days, you will get good birds eye view of deep tech ecosystem in Japan. 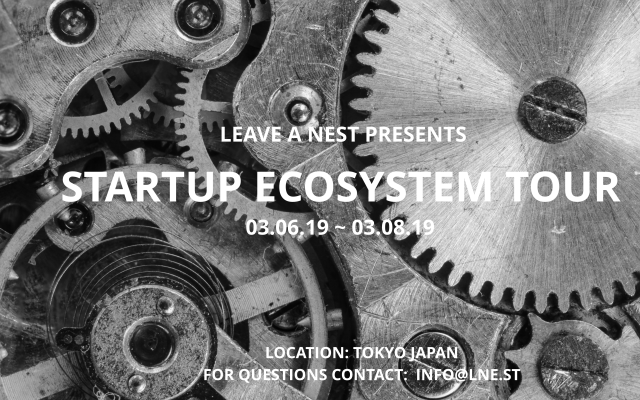 Chance to get directly connected to Japanese companies, startups and researchers with support from Leave a Nest. Leave a Nest will be there to support you to build the network you are looking for. The 8th Hyper Interdisciplinary Conference will be held on 8-9th March, 2019 in Tokyo.